Agora.io is a real-time communication service provider in China which cooperates with YY, Xiaomi, momo, and Douyu. In the online world, achieving a stable and high-quality communication is of vital importance to both developers and users. Agora.io would offer solutions to these kinds of problems. 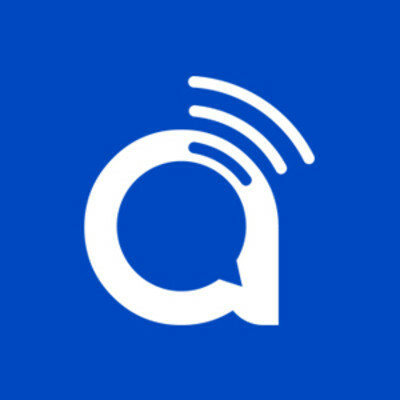 Founded in 2014, Agora.io is a service provider for global real-time voice and video. Its core technology is real-time communication (RTC), which uses real-time voice and video service as well as online broadcasts to create a scenario which is similar to offline communication. As a developer, it could connect to Agora’s API in a short time, and apply it to scenarios such as video communication, interaction-broadcast, online gaming voice, and AR cooperation. In 2017, the number of the 3G/4G base station reached 4.62 million, and the total length of the optical cable line reached 374.7 million kilometers. According to the Ministry of industry and information technology, by the end of April 2018, the 4G network would cover more than 99% of China. As the Internet infrastructure system matures and the market environment becomes increasingly systematic, the RTC business will keep developing in the future. The communication cloud is a pay-on-demand service and has high flexibility which attracts more customers. By the end of 2017, communication cloud service targeting the Chinese market was 981.5 million households, with a YOY growth of 12.7%. The increasing amount of the market subject leads to more real-time communication users. In 2017, real-time communication users were 700 million which occupied 93.3% of the total Internet users. With the change of user habits, more and more new communication methods are developing including real-time voice and video communication, IM, cloud customer service, etc. On the other hand, the total market size of the IM cloud service, in terms of PaaS level, is CNY 760 million. With the increasing development of mobile social media, short videos, and social E-commerce, the market will keep expanding. According to i-Research, from 2017 to 2020, the CAGR of the market size would be 20.5%, and by the end of 2020, the total market size would be CNY 1.3 billion. The IM PaaS relies on the development of the Internet start-ups, and after 2020, the increasing rate of the market would be slower than before with a CAGR of about 16.9%. It is estimated that by the end of 2022, the total market size would be CNY 1.8 billion. The Agora.io began from an underground garage in Silicon Valley. A group of programmers designed Agora and expected to use the ADI of real-time voice and video interaction service to change the way people communicate. Gradually, Agora built the software-defined real-time Internet, SD-RTN, which is specifically used for real-time communication. Currently, Agora is offering more than 10 billion minutes of real-time voice and video services for global developers and has more than 200 million installations in more than 200 countries. Tony Zhao (赵斌), who is the founder and CEO of Agora, used to lead the foundation of 2 Nasdaq listed companies. In 1997, ZHAO joined Webex as the founding engineer, and the company was acquired by CISCO in 2007 at USD 3.2 billion. Currently, Webex is still the largest technology provider of the Internet interaction meeting. In 2007, ZHAO joined YY (a company listed on NASDAQ in Nov 2012 with a valuation of approximately USD 5 billion) as its CTO. In 2014, Agora was founded and aims to provide high-quality real-time communication service for App developers. There are about 90% of engineers in the total employees of Agora, Zhao said. Therefore, the Agora invested a lot on the research and development to try to provide better products for developers. Currently, the charge standard for developers is $0.99 per 10000 minutes. As for customized services, the charge would be changed. Agora’s charge might be closer to the average level of the industry, but since what it offers is a more stable RTC with lower energy consumption, Agora still attracts lots of customers including Xiaomi, Momo, Douyu, and Huya, which are famous companies that have requirements on the RTC service. Agora finished its A round of financing with USD 6 million in Feb 2014 led by Shunwei Capital, which is a venture capital company from Xiaomi Group. It’s no wonder Xiaomi became one of the largest customers of Agora. On Sep 17, 2015, Agora completed its series B financing with USD 20 million. Famous investors joined this round of financing, including SIG, GGV, Chenxing Capital, IDG and YY. Old shareholders, Shunwei Capital, also joined this round of financing. On Nov 2018, Agora completed its B+ round of financing with USD 30 million, which was led by Coatue Management, SIG, Chenxing Capital, Shunwei Capital joined this financing. According to ZHAO, Coatue made the investment decision within 2 weeks, which showed the strong confidence of Coatue to Agora. The money financed will help to strengthen and consolidate the leading rank of Agora. According to ZHAO, Agora would keep increasing its R&D investment on real-time communication products and increase the consumption experience of voice and video communication products. In addition, Agora will help more industries to use RTC technology to better themselves. Plus, Agora will provide more products and services to developers, to better its innovation experience. Finally, Agora will strengthen cooperation with its ecological chain partners and offer more commercial values to enterprises. During the past 2 years of commercialization, Agora grew rapidly. Currently, its daily communication volume is more than 300 million minutes, which generates great cash flow for the company. There are more than 200 employees of Agora and they are located in Silicon Valley, Shanghai, Beijing, Guangzhou, Tokyo, and Bangalore. With its global influence and strong expanding strategies, Agora has a leading market share of the broadcast industry. Almost all of the head players of the broadcast in North America, Europe, India, China, Middle East, and Southeast Asia are using the Agora’s RTC technology. ZHAO said that going overseas is one of the most important businesses of Agora and currently, Agora has built a strong strategic cooperation relationship with famous overseas enterprises such as The Meet Group, Hike Messenger, Musical.ly and V-cube. Currently, its real-time video and voice communication SDK of Agora has become the most popular SDK among developers of the real-time communication industry. ZHAO said that Agora is actively promoting its business in many different industries such as education, social media, gaming, IoT, and medical care. In the future, Agora would keep focusing on these industries and use its RTC technology to help them. In the education field, Agora published a solution to support high-defined and stable interaction between teachers and students. In addition, Agora cooperated with education enterprises such as Air Course and Homework box to publish a “mini class” mode, which guarantees that every student would be paid attention to while teaching in a stable and fluent interaction. In the IoT industry, stability and low energy-consumption are important factors while the smart hardware interacts with each other. From this point, Agora published an SDK with low energy-consumption and is specifically designed for intelligent hardware. Now this SDK has applied to Xiaomi's smart speaker, which ranks 1st in terms of the sales volume of the smart speakers, and GLEXX ME, the AR Glass, is made by llVision. Agora also paid a lot of attention to the medical care industry. For remote medical treatment, it requires high technology that guarantees high-quality videos keeps smooth communication. Currently, Agora is exploring the “super-resolution”, which makes use of deep learning to improve its resolution ratio of the videos and better the quality of real-time video and voice. The super-resolution is a combination of AI and RTC technology, which is mainly applied to the transferring process and aims to restore video quality and increase the resolution. Due to the bandwidth and the performance of the devices, the video quality may be lower. ZHAO said that Agora has developed the algorithm model which could generate crisp details of the video while running on low energy. Agora also wants to serve the enterprises for their overseas expansion. The RTC technology is becoming increasingly important for the overseas expansion of the enterprises, the low delay, stable transportation rate, and the high quality are the core factors for RTC. ZHAO said that Agora has already established its own SD-RTN network which has a de-centralization structure. That could guarantee the flexibility of the transportation and the quality of the videos. In addition, Agora has developed the "Agora Solo X", an audio codec, and the algorithm, last mile, to promote the quality of customer experience. In addition, the Agora’s SDK supports more than 16 developing languages and structures including Android, iOS, and Linux. 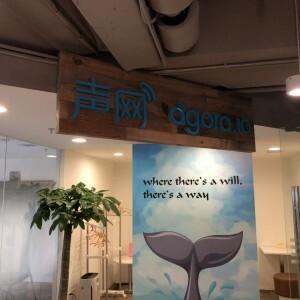 Agora has a strong interest in helping with the overseas expansion of enterprises, ZHAO said that, currently, Agora has settled several offices in different parts of the world, and the companies that Agora helped include Huya, Longteng Game, IIVision. It’s not easy for a company like Agora to survive in the real-time communication industry, especially when magnates such as Baidu, Tencent, Alibaba are expanding. Tencent, for example, has developed several kinds of games which require RTC technology for the players to communicate. As the largest game company, Tencent developed QT voice, which is specifically used for the communication between the Tencent game users. In this way, a large market share was occupied in the gaming area, and it becomes increasingly tough for Agora to enlarge. On the other hand, Tencent also owns Wechat, which is the most popular communication software in China. The RTC technology of Wechat is developed solely by Tencent, as well. Although Agora is targeting to the business side, the magnates could use its strong users base and great resources to occupy more market share, which makes it harder to explore the new market. However, new technology such as 5G may bring new opportunities to Agora. ZHAO used to say on the MWC 2019 that Agora is exploring and developing 5G-related technologies in order to match 5G’s telecom bandwidth. Once Agora mastered the better technology that is suitable for the 5G telecom, it may explore a special way to occupy the market share of RTC. Meanwhile, Agora’s technology can be applied to other fields. For example, one of China's top commercial banks has cooperated with Agora to establish a new recording system, which helps the customer to record their voice and video while opening an account. Another excellent way for Agora to maintain success is by exploring customized application ways. Chongqing city has published 120 interaction first-aid services. After calling the 120, the users could have real-time video communication with the doctors and start first-aid for those who are injured. The SDK for this kind of service is developed by Agora. In the future, more and more government-related services may use RTC technology, which generated a lot of opportunities for Agora to develop customized services. The real-time communication service is of vital importance in our society, but the efficiency and the quality of the video and voice are critical. The AI algorithm and the super-resolution technology bring a large space for us to imagine the future of Agora, and the customized service may give an extra market share for this engineer-leaded company. Sound Network Agora provides real-time audio and video SDKs and APIs for developers around the world, creating a variety of audio and video interactive scenes within the application through the global deployment of SD-RTN TM.